growth and development « Howard J. Bennett - Pediatrician and Author in Washington, D.C. Newborn babies will look at their parents right after birth, but their eyes can’t do more than “fix” on objects for a few weeks. 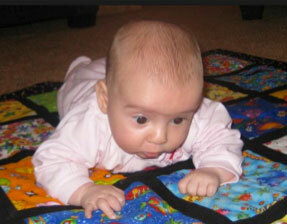 Between 1 and 2 months of age, babies will begin to follow objects during quiet, alert periods. It’s important to realize that this is still a difficult task. There are six muscles that control each eye, and they must work in unison for a baby to follow an object through space. The best way to get your baby to follow is to put your smiling face 12 to 18 inches in front of her face. Then, move your head slowly in one direction or the other. 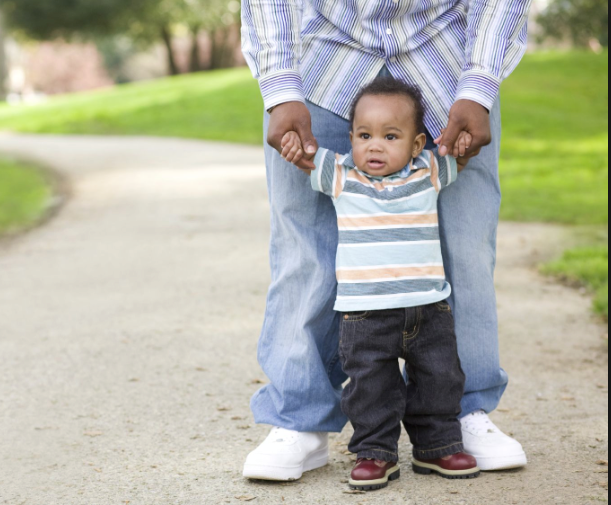 Most babies will be able to follow you for an arc of about 30 to 45 degrees. After that, their eyes may stop or wander a bit.